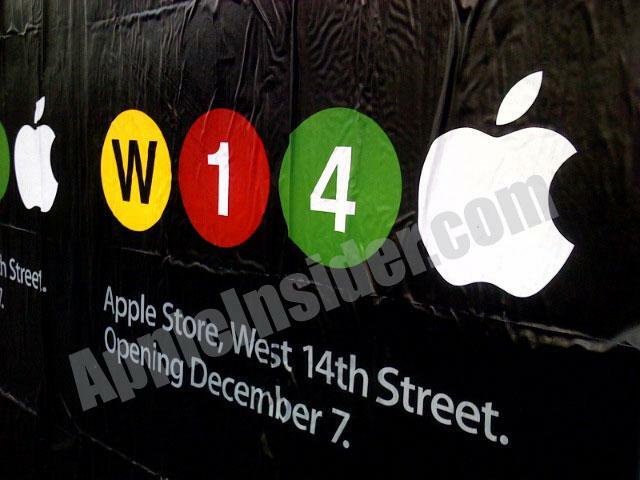 While Apple has yet to issue its routine press release, large acrylic bills posted near the site of the company's nearly complete flagship retail store on West 14th Street in Manhattan are announcing a grand opening on December 7. 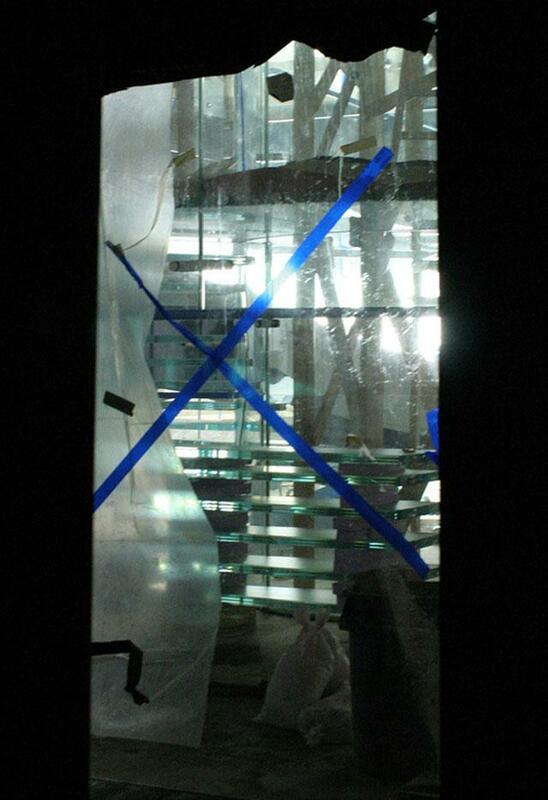 The large store (1, 2, 3, 4) at the corner of 9th Avenue and 14th Street in the heart of the city's Meatpacking District will be spread over two levels connected by a spiral glass staircase, which is already installed (photo below). Apple will occupy the highly-visible corner space in the store, with at least two other tenants taking up other spaces in the building. Like Apple's other stores on the island, the architecture at this location will be distinctive and won't include a stainless steel exterior. Rather, it will be mostly large framed windows and masonry. The December 7th date was first reported by our friends over at ifoAppleStore earlier in the week. A big thanks also goes out AppleInsider reader, Eric, for snapping the below photo, and Curbed for the photo of the glass staircase (also below). 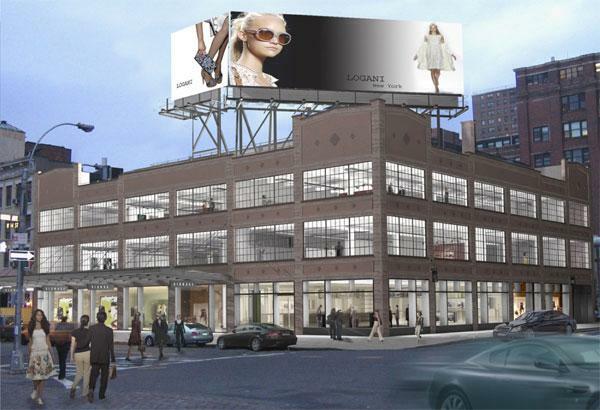 A concept rendering of the renovated retail space at 14th Street and 9th Avenue.